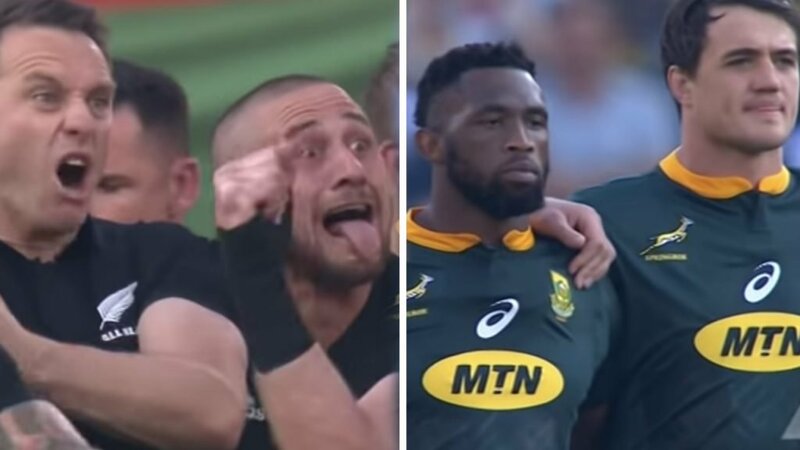 A lot of you know our stance on the Haka when the result is never in doubt and the dance appears to be no more than a formality for the Kiwis. But this one was different. You can tell from this Kapa o Pango that the New Zealand team were in that zone that they get into after a loss. And the Springbok crowd rose to that as well with some brilliant chanting of what I can only think is “ole ole ole”. Refreshing to see genuine intensity in this section of the ceremony rather than muted cheering.